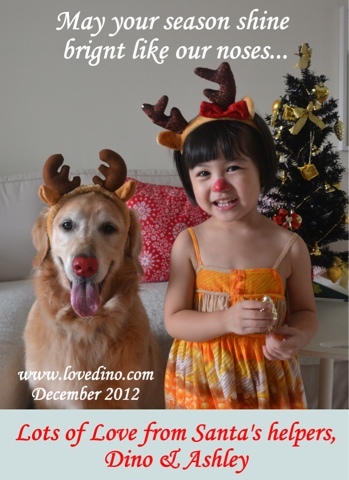 Aw, Dino - that is just the CUTEST picture!! We wanted to wish you a belated Merry Christmas & Happy New Year! We love your Christmas card and just can't believe how big your sister is getting!! Time flies!